A pageant that promises to give the winner the best platform in the world of fashion, modelling and lots more, Miss Glamourfaces World 2016 is searching for a new face from all over the world to be their new model and ambassador. 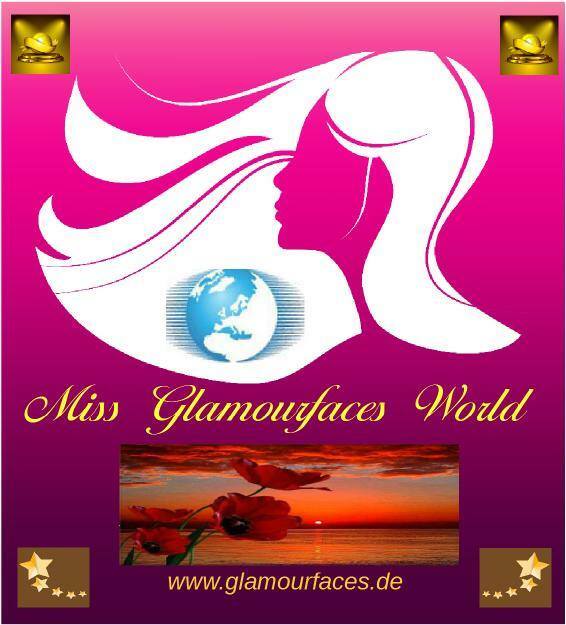 Miss Glamourfaces World 2016 will be held in September in Berlin, Germany. So if you think you have the face that the camera loves and can be the next Miss Glamourfaces World, this is your pageant. Show the world that you’re confidence comes from the person you are,and that makes you beautiful radiating on your face. The Organizer is Glamourfaces.de. They started as W-Models around 1993 and then started holding national Beauty Contests such as Miss Dresden (City) , Miss Saxony (Region), Miss Deutschland and other big National Beauty Contest,Face of 94- the winner Miss Christine Beutmann. The winners of these contest went on to become international Model worldwide. Other event include International Dance Contest like Planet Dance in Germany. In 2005 they changed name to Glamourfaces.de , because the focus was more to start by International Contest specially with Models such as Miss Top Model of the World. Miss Intercontinental , Miss World Bikini Model International, Miss European Tourism and Miss Teen Model of the World. What’s the idea about Miss Glamourface World competition? The idea is to find a specially beauty face with charisma , so that she ll get more Chance to get a good job by Cosmetic Firms , by Cinema and TV –Series , and Product Promotions . The diffrence to other Beauty Contests, is that they don t look to the body firstly, their focus is the face, so that every beautiful girls out there irrespective of body stats can get an equal chance to follow their dreams of being a beauty queen. What are the prizes, roles and responsibilities of the winners? Are there any fees to take part in this contest? All the beautiful ladies out there, this is your chance to live your dreams. This contest is open to worldwide models and girls between 18-28 years. All the submitted entries will be on their website until 30th, August,2016. After that, some distinguished judges will select the top 20. The selected top 20 will get a chance to compete in the finale on 10th September, 2016. You can check their website http://www.glamourfaces.de/ for the list of contestants. Note: Indian and World Pageant is not associated with Glamourfaces.de or Miss Glamourfaces World 2016. For any query you can directly contact the organizer. our new Design by Glamourfaces.de – Screening time is open! for Miss Glamourfaces World 2016 ……check it..